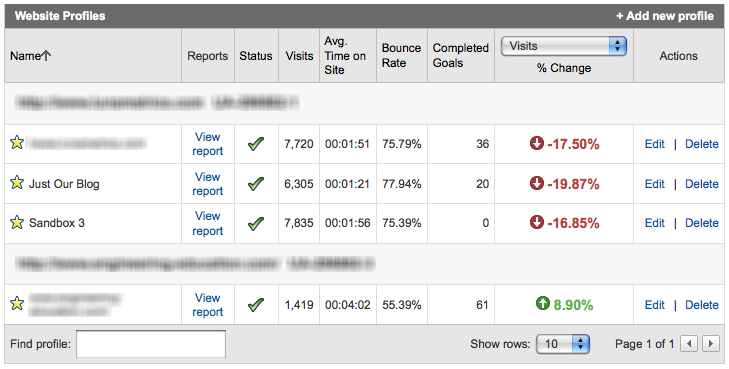 The new account interface to Google Analytics (announced in October and rolled out to everyone over the last few months) is a really nice improvement, because it allows you to see, at a glance, how different accounts or profiles are doing and compare them to each other without having to click through to the reports for each profile. Given that you might have lots of different profiles in an account — even for multiple sites — what exactly does it mean that an account has X visits? Notice that they’re sorted by site, then each profile for that site is listed. When Google Analytics totals up the visits and other metrics for the account, the profile with the highest number of visits wins for each site. 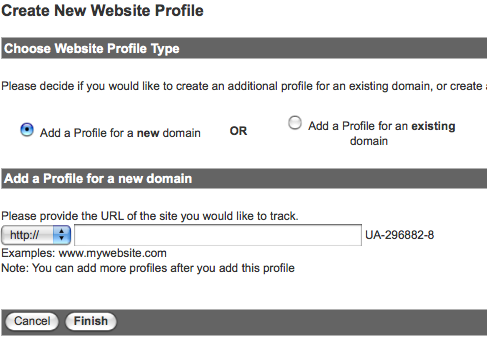 Then all sites in the account are totaled. So this can be a really nice way to compare accounts, but you should be aware of exactly how those numbers are totaled up so you know what to expect.